Most investors appreciate that there are two components to the returns from investing in property: capital growth – where the value of the property increases over time; and cash flow – from rental income. An investor’s age, earning capacity and asset base will determine whether they are more interested in long-term capital growth or cash flow returns. Younger, high-income earners may choose to invest for long-term capital gain. They are not concerned if their net cash flow is less than the costs associated with holding the property. In fact, they often seek investments with such a shortfall because they can claim this loss against other taxable income. In essence, that’s what ‘negative gearing’ is all about. Other investors, may tend to choose property that delivers a net positive cash flow. These are ‘income’ investors. Opinions differ as to which is the best approach – to invest for growth or cash flow? In the end overall returns from property will be a combination of both. 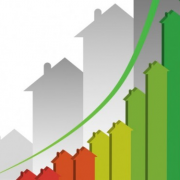 It’s important to remember that property is a medium to long-term investment. The yields will change (as a percentage) over the life of the investment. A property that is cash flow negative when you buy it may well become positive as rents increase and your loan gets paid off (providing you choose a principal and interest loan – which not all investors do). Most new capital city properties will not return a positive cash flow when you first purchase them. This is because rental yields are quite low in terms of a percentage of the purchase price of your investment. Countering this, depreciation allowances on newer buildings are higher and as we noted earlier investors in a high tax bracket can claim investment losses against other taxable income. Well located, quality real estate in capital cities will usually (all things being equal) attract good tenants and enjoy low vacancy rates, so the cash flows will still be consistent and continuous, while you wait for that capital growth to kick in. In outer suburban and regional areas, it’s possible to locate lower-priced property with comparatively high rental yields and this is a strategy that many ‘income’ investors choose. Regional areas have not historically enjoyed the same capital growth as capital city properties. It’s not wise to generalise, as the regions are so vast and their economies and growth drivers are very different. Mining towns are regional and many investors have enjoyed stellar short-term growth and unbelievable rental returns in these areas, but they may be regarded as high risk. Is it worth making early repayments of student loans? 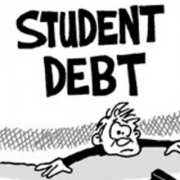 ONE of the earliest debts many young people take on is to pay for university. If there is such a thing as good debt, this one fits the bill — education generally leads to higher lifetime earnings. Most people who borrow to fund university studies do so using the Federal Government’s Higher Education Loan Program, called HELP, previously known as HECS. This education debt is likely to be your cheapest debt, indexed annually at the rate of inflation. For 2016, that rate is 1.5 per cent. Financial planners generally advise students are likely to come out ahead by directing any savings into a high-interest savings account or term deposit rather than repaying the debt early. To be in a better financial position, you need those savings to earn more than 1.5 per cent after tax. That means that if you join the workforce and pay a marginal tax rate of 32.5 per cent — meaning you earn between $37,000 and $80,000 a year — your savings would need to attract a 2.23 per cent rate to grow faster than your student debt. Some online savings accounts offer introductory rates of 3 per cent while one-year term deposits are being offered at 2.6 per cent. If ex-students can invest their money at a rate that grows faster than indexation that applies to their HELP debt, they would be better served to invest their money and have it grow quicker than the debt is growing. Once their funds have surpassed the debt, one could choose to pay it all off. It is worth noting that out you cannot get a HELP payment back, but you have access to your savings in a term deposit — albeit on the terms set out by the bank. And when it comes to paying off debt, the basic rule is that you start with the most expensive after-tax debt. From a purely financial standpoint, if you can earn a better return on your savings than the HELP indexation rate, you’re probably better paying down the loan through compulsory repayments each year. But if it’s hanging over you and there’s peace of mind to be gained by paying it off early, well, you can’t put a price on that. http://brickhill.com.au/wp-content/uploads/2017/07/Student-debt.png 320 590 admin http://brickhill.com.au/wp-content/uploads/2017/03/brickhill-340-x-156.png admin2017-07-16 21:41:012017-07-16 21:41:01Is it worth making early repayments of student loans? Self-employed borrowers often come up against the challenge of not being able to present a raft of payslips and tax returns to back up their loan applications. But this need not stop you buying your dream home or an investment property. 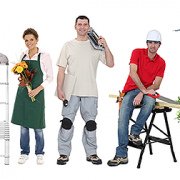 Many lenders offer low-doc loans for self-employed borrowers who can’t hand over payslips and employment records. This means that, rather than the usual documentation, you prove your ability to service a loan using bank statements, declarations from your accountant and financial records. Of course, as with any mortgage application, you must still prove that your income outstrips your spending and you can service the loan. Getting this right is more than presenting a lender with a few quick sums on the back of a napkin; it takes solid preparation. Speak to a finance broker about how the structure of your business and your taxable income will impact your ability to borrow. Do your taxes when you should, and always pay your tax assessments on time. while many bank lenders do not. Low-doc loans do differ from standard loans in a few ways, apart from the application process. Lenders offset the extra risk they are taking by lending to a self-employed borrower or contractor by charging slightly higher interest rates and placing some extra rules on loan-to-value ratios (LVR) and insurance requirements. Most lenders will also insist on an LVR of no more than 80 per cent – meaning that under no circumstances will they lend more than 80 per cent of the property value, as assessed by the lender. If you are planning to build immediately, or at least soon, a construction loan might be the best option. Most lenders demand that building on a construction loan must start within a specified time. This mortgage type allows you to draw down segments of the loan amount in stages as they are needed – for the land purchase and then for the stages of construction – which saves you paying interest on the entire loan amount when you don’t need to. 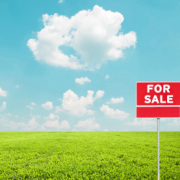 The vacant land purchase can be used to increase the equity in your existing home or investment property and, while redraw facilities are usually not available on construction loans, they may be on land loans. If you have stumbled upon the perfect position for your dream home, future holiday getaway or retirement oasis, but aren’t ready to start building it yet, the next step is to speak to an expert about the different types of loans that can finance the purchase. 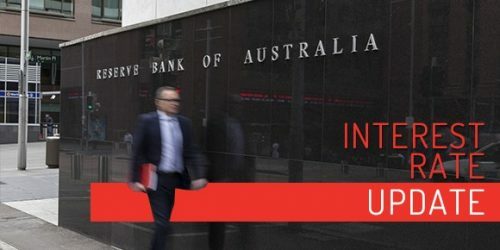 The Reserve Bank of Australia (RBA) has made its monthly cash rate call, deciding to hold the official rate at 1.5% for the 11th month running. This decision was widely predicted with 34 out of 34 economists in a monthly RBA Cash Rate Survey forecasting the non-move. The general consensus seems to be that this will be the last hold call with 88% of economists polled saying that the next rate move would be a rise.